Much was at stake for Game Day 3 with all teams blowing hot air, stoking the embers over what to expect. Game Day 3 duly lived up to expectation, featuring a double round of games for all teams. At the end, there were improved displays from the new boys Lotus and Tokio, while Raptors registered their first goal of the campaign. DJ Yinnie was on the wheels of steel and Joseph Sephoru took photos for the day. Both teams started with real purpose, trying to improve on their poor GameDay 2 showing but a rare mix-up in the Guns defence allowed Goodness score the opener early in the first half. Guns rallied and tried to come back, going close on a number of occasions but for some resolute defending from Fryo in the Teknon defence. Ebonie had a freekick disallowed for Guns towards the end of the first half, however there were to be no mistakes in the second half when he bagged the equalizer. Raptors, still searching for their first goal and first win of this campaign really took this game to the reigning champions who could do no more than absorb the onslaught from Raptors with a steely display from Captain Adimabua in defence. Raptors took the lead with Samuel finding the back of the net after some atrocious defending by Raineri who responded by throwing Shahin Benzema in the fray in search of the elusive equaliser, and that move paid off for them when moments before the end of the game, Benzema struck the equaliser with a low freekick that gave the Raptors goalie no chance. Pacers had established themselves as the team to beat and proved it this time around, going through the motions of the game like it was a practice match as they ripped their opponents to shreds again and again with silky play but their profligacy in the final third meant they would find it difficult to score. The breakthrough however came from a freekick. Pacers goalie, Osayi, lined up the freekick and when the Lotus defence failed to clear, Funsho scored on the rebound. Lotus tried to find a way back into the game and were duly rewarded with a penalty, scored by Tunesh, which happened to be the last kick of the game. Alphas, still high from defeating Raineri at GameDay 2 were taught a footballing lesson by an overwhelming performance from the new boys who appear to be growing with each game. First, Kola stunned the Alphas defence with a well-crafted goal, before Nwabueze added a delightful second, and then added his second and Tokio’s third after rounding the goalie. Alphas were able to pull one back but that was all it would ever be, a consolation. The highest scoring game of the day saw a quick-fire 5 goals scored in the first half alone. Fryo opened the scoring with his mesmerising display before Teknon responded via Osas. Smooth triangular communication between Fryo, Tunesh and Friday for Lotus then ensured that Tunesh, and then Friday would restore and then extend their lead before Sunday pulled one back for Teknon heading into half time. The second half was a dominant performance from Lotus and would end with a square pass from Friday leaving Fliq with an easy tap-in for Lotus’ fourth goal. Encouraged by their first goal of the tournament and overall display against Raineri, Raptors produced a spirited performance which was equally matched by their opponents but neither side could find the breakthrough in this evenly-contested tie, and it all came down to one moment of brilliance as Nwabueze popped up with the winner, his third goal of the day. Still reeling from their shock loss to Tokio, Alphas gave a cautious display, not venturing too far out to avoid being exposed on the counter. Quite unsurprisingly, they found themselves two goals up and looked good value for their lead going into the final moments of the game before a late rally saw Ebonie claw one back for the Guns. On the back of their disappointing draw against Lotus, Pacers came out firing on all cylinders, asserting their dominance on all aspects of the game and were duly rewarded with a goal via Funsho in the first half, but thanks to an equally noteworthy performance from Raineri, chances were few and far between. However, as the game progressed, Raineri found themselves out-thought and out-fought in crucial moments and found themselves conceding two further goals, from Kossy and Funsho again, to hand Pacers their third clean sheet of the tournament. HOW THEY STAND: LEAGUE TABLE AFTER GAMEDAY 3. 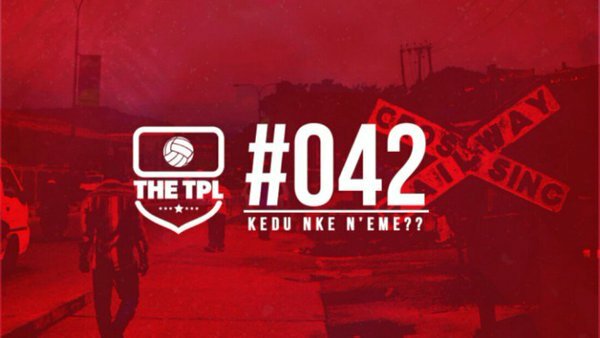 Look out for the explosive Game Day 4 coming your way on the 12th of November at the Campos Mini stadium, Lagos Island (11 am).